Woohoo, Strictly Come Dancing is on the television!! Are you watching? Have you got a favourite? I am loving them all and can’t choose a favourite! This year we have made some new score cards (last year’s only just made it to the end of the series!). They’re not quite as flashy as I had planned but I had left it to the last minute and it was on the television and I had two little people begging for new cards….quick Mum, hurry! 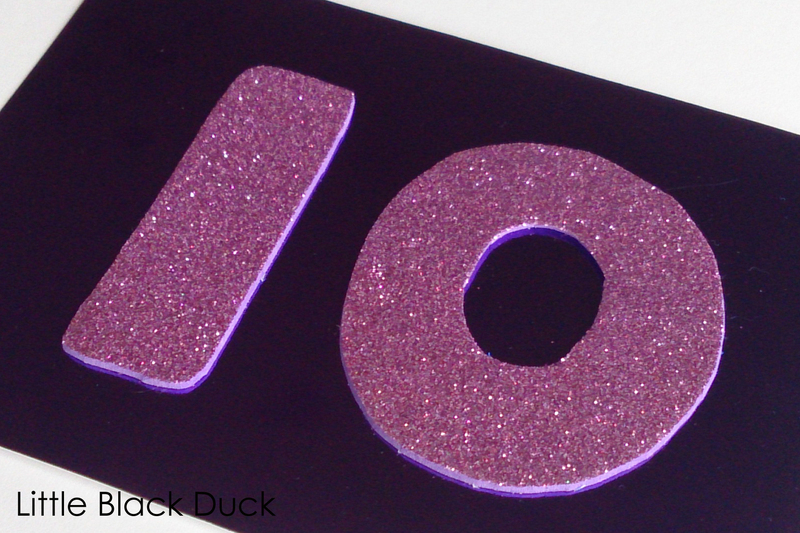 I found some great supplies in the ‘art department’ of our local Tesco… a 10 pack of A4 shiny card and a 10 pack of A5 glittery sticky backed foam – what a find! I cut the A4 shiny card in half down to A5 size. I traced the numbers onto the reverse of the sticky backed foam and cut the numbers out. Just remember to reverse the numbers before tracing around them (I didn’t forget …promise …ok, maybe just the once …or twice). Then I just stuck the foam numbers centrally on the shiny card, et voila, Strictly Come Dancing Score Cards! Despite the girls normally giving a 10 to every dance I made up all of the numbers, but saved a little time by only making the one number for the 6 and the 9…what a cheater! If you fancy making some of your own Strictly Come Dancing (or Dancing with the Stars) Score Cards I have pulled together a pdf with templates for the numbers I used. Not exactly rocket science, but I spent far too long looking for the ‘right’ font so I thought I’d save you some time if you wanted to make some too! 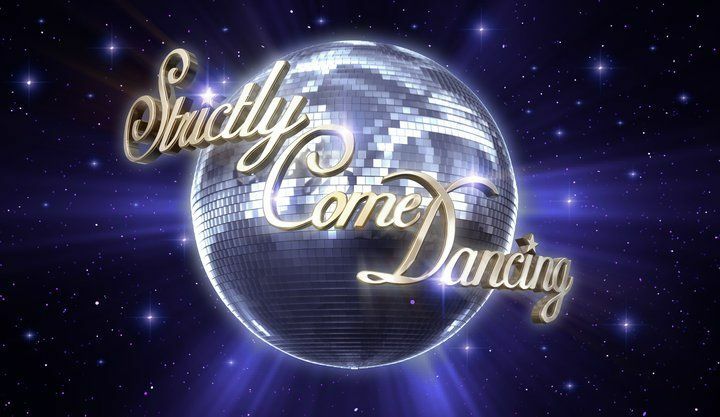 Are you watching Strictly Come Dancing? Unlike me have you managed to choose a favourite? I love love love that idea! My daughter would, of course, give everyone 10s and always seems to rate the dancers with pink dresses and fun songs highest, but she is only five after all. 🙂 My friends all make fun of me for loving Dancing with the Stars but I’m not apologizing! Never apologise…it’s the best thing on television! My eldest is also five and she has a firm favourite, but does also have a tendency towards the pretty dresses!